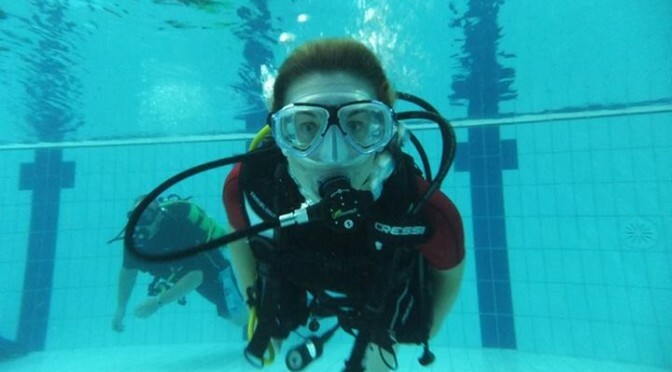 Training within a branch is a great way to learn to scuba dive. Mansfield 735 branch benefits from having a very active set of instructors. Making it easy for members to improve their skills and explore their interests. We are happy to accept divers from other organisations and clubs. Diver’s with qualifications from other bodies can ‘cross over’ to convert their qualifications to BSAC grades. There is no time limit on our courses and students progress through the sessions at their own pace. Pool sessions and lectures are organised at a time to suit both you and your instructor(s). You may have an instructor who does the majority of your training, occasionally your instructor may change, this depends on availability. To try and make it easier for every-one to be at the right place at the right time, the Training Co-ordinator organises all training within the club, if you wish to attend the pool session for some training please make sure you contact them first. The Training Co-ordinator will know which instructors are attending the pool and if they will be available to do some training with you. It is important to remember that all of our instructors are volunteers and while we make every effort to do so we might not be able to facilitate your training on any particular night if you have not arranged this with the training co-ordinator before hand. If you have never dived before you should start on the Ocean Diver course if you have a qualification from another diving organisation and are looking to join a club, please get in touch using the form below.